NO job is left unfulfilled with the Need It Now Delivers Triple Fleet Guarantee! Need It Now Delivers and Its Specialized Subsidiaries have serviced the logistics industry for over 50 years; providing quality logistics solutions to companies of all sizes. Need It Now Delivers operates in over 75 physical distribution facilities and combines today’s latest delivery technology with a “real world fleet” to implement any logistics solution. On demand with vans or trucks providing routed, scheduled or recurring deliveries. Work is performed on a national level. All drivers are vetted with BGC’s and MVR’s. A big focus is on the 2-man residential white glove delivery. “There is no second chance for a good first impression.” Services include: delivery and installation of home appliances and electronic equipment. We are the first choice delivery provider for many of the nation’s largest retailers. We warehouse or cross dock freight and set appointments to make delivery to residential homes or businesses. We also warehouse freight from many industries including general LTL freight and make the related delivery. Our customers include critical parts, medical related, cabinets, office supplies, and many more. Our Gilbert Company subsidiary is recognized as a leader in retail logistics providing Deconsolidation, DC bypass, Consolidation, Retail warehousing, Ecommerce and fulfillment, and Retail Store Delivery. Our accounts include many of the largest and prestigious retailers in the U.S.
We are TSA approved. We ship domestically and internationally. Clients include professional firms, software companies, digital display companies and retailers. Need It Now Delivers courier operations are consolidated into one technology platform. We have our own in-house driver and customer APP. The Need It Now APP is now available in the Apple or Google Play stores. Our technology capabilities allow us to provide an excellent customer experience. We designed our services particularly geared towards growth to the residential and retail consumers. 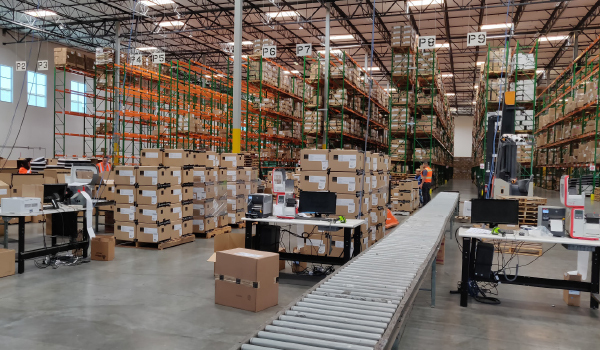 Our logistics technologies include our own On-demand and routed software; a proprietary warehouse management system for our final mile warehouses; PCS and Bearware for the Gilbert store delivery program; proprietary Warehouse Management System for the Gilbert Services. Need It Now Delivers uses state of the art technology to deploy into any e-commerce site, an established API or our Need It Now App and Website. Unlike other Crowdsourcing technology services, Need It Now Delivers stand behind every delivery with our APP Fleet, employee fleet and our courier network. No job is left unfulfilled with the Need It Now Delivers Triple Fleet Guarantee!